The nine stories in this collection provide a sensory-rich showcase of the human spirit in the living, in the dead, and in those caught somewhere between the two. A boy learns that ghosts and guns don’t mix. A woman discovers a unique way to mourn the loss of her cat. A man notices the grace and mystery of an elderly couple boarding the bus. 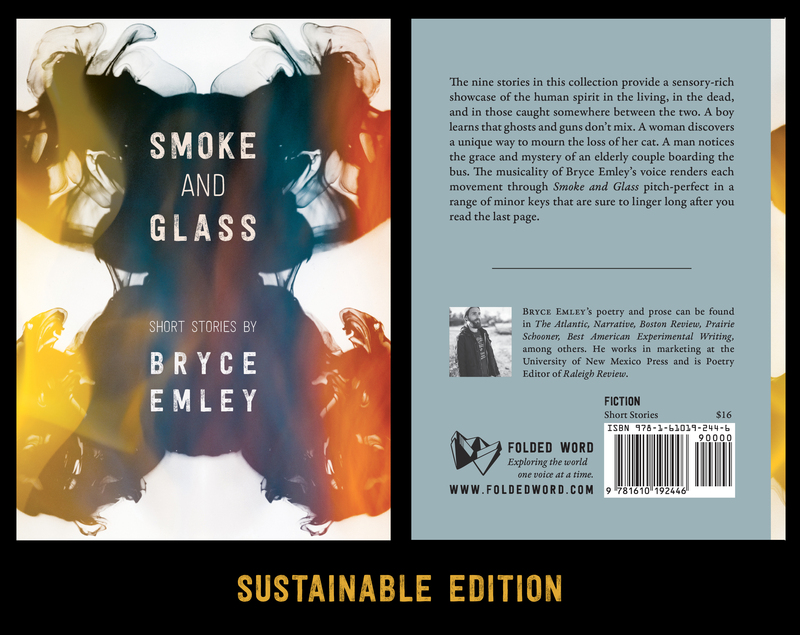 The musicality of Bryce Emley’s voice renders each movement through Smoke and Glass pitch-perfect in a range of minor keys that are sure to linger long after you read the last page. A screen-reader friendly excerpt is available as part of our Written Word Wednesday series. Read “Still Life with Motion” here. 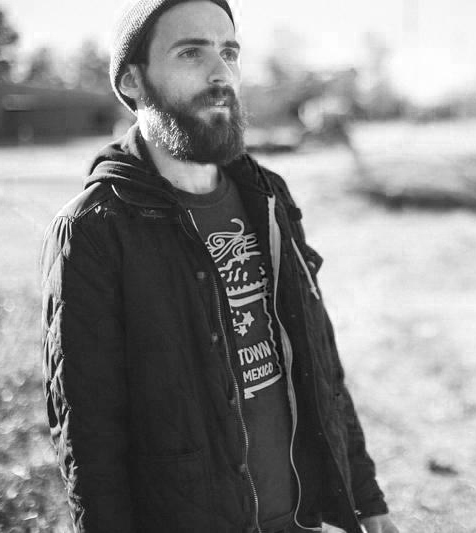 Bryce Emley was born and raised in Florida and earned an MFA in Poetry from NC State University. Bryce’s poems and prose have been published in The Atlantic, Narrative, Boston Review, Prairie Schooner, Best American Experimental Writing, and other magazines. The recipient of scholarships and residencies from the Edward F. Albee Foundation, the Glen Workshop, the Wesleyan Summer Writers Conference, and the University of Central Florida, Bryce was named a Narrative 30 Below 30 in 2017. His video scripts have received an Award of Merit for Documentary in the Accolade Global Film Competition and a regional EMMY for Sports Video. Bryce currently works in marketing at the University of New Mexico Press in Albuquerque, NM and serves as Poetry Editor of Raleigh Review. A numbered, 100-copy print run, produced locally using environmentally responsible methods, featuring red endsheets. Copies are ready for immediate shipment. Shipping will be calculated at checkout. Varies by quantity ordered and location. Soft-launch discounts available through 20 December 2018! Want to review what’s in your shopping cart?